Healthcare providers have a challenge ahead of them if they are to improve communication with field staff and other mobile workers; how to do so without exposing patient data and violating HIPAA Rules. Providence Anesthesiology Associates opted to use a secure messaging platform to help stay in touch with critical members of the care team, and is now reaping the rewards. Communicating with mobile workers and field staff is convenient, fast and easy via Smartphones; whether they are owned by an employee under a BYOD scheme, or provided by employers. However, ensuring communications remain HIPAA-compliant is difficult. PHI cannot be transmitted via insecure channels, meaning standard communication methods available through mobile devices cannot be used. If PHI is to be transmitted via an insecure channel, HIPAA requires the data to first be encrypted. To ensure remote workers do not inadvertently violate HIPAA Rules by using insecure channels to communicate PHI, HIPAA –covered entities should consider using a HIPAA-compliant text message platform that will allow the transmission of PHI without risking a HIPAA violation. How to Leverage Smartphones to Improve Efficiency? Providence Anesthesiology Associates pondered the same question. The anesthesia and perioperative care group from North Carolina was looking for a HIPAA-compliant real time messaging solution that would allow its clinicians, physicians and off-site workers to communicate with each other quickly and efficiently, and of course, safely and securely. The benefits of secure text message service are clear. Faster communication between care teams cuts back on wasted time, improves staff morale, ensure patients receive care faster, and the service can increase the number of patients that can be visited each day. 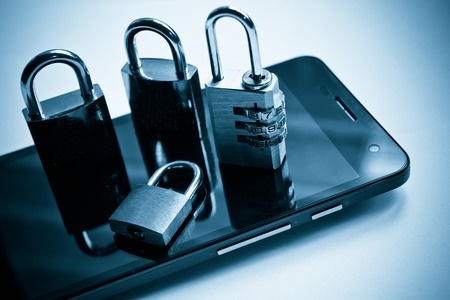 Furthermore, the system can be deployed quickly via the installation of a secure messaging app on users’ phones.